Q. Why should I use Buy Your Old Vehicle? 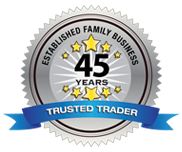 We have been established for 45 years! We can pick-up your vehicle today from Huntingdonshire, Cambridgeshire, Bedfordshire and Northamptonshire including the surrounding towns and villages. 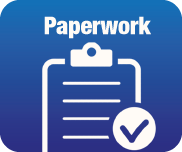 No hidden costs and we sort all the DVLA paperwork for you. We are local and cover Huntingdonshire, Cambridgeshire, Bedfordshire and Northamptonshire. Have complete confidence in where your old or scrap vehicle is going. We buy any old vehicle! ﻿Q. How do I know if Buy Your Old Vehicle can help me? Your old vehicle has failed it’s MOT, considered scrap and not worth repairing. You would like more money for your vehicle than weighing it in for scrap. You have a vehicle or scrap car that you would like removing from your premises ASAP. You are looking for a quote and don’t know where to start. You are looking for a good, honest and reliable service. Q. What type of vehicles do you buy? Call, text or e-mail Buy Your Old Vehicle on 01480 869444. 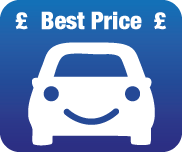 We discuss your vehicle and agree a price with you. We arrange a pick-up time to suit you. We issue you an invoice and fill out all DVLA documentation. We pay you in full, load-up our vehicle... and go! ​We buy: Cars | Vans | 4x4’s | MPV’s | Minibus | Motorhome | 4 wheel drives | Rear wheel drives | High mileage vehicles | Low mileage vehicles | Written-off cars | Classic and vintage vehicles | Unusual vehicles | Unfinished projects and kit cars | MOT failures | SORN vehicles | Financed cars | Scrap and non runners up to the value of £4000. Call us on Huntingdon 01480 869444 to find our more. 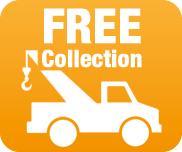 Buy Your Old Vehicle is a scrap car dealer based in Kimbolton, Huntingdon. We buy scrap cars and other old vehicles in Huntingdonshire, Cambridgeshire, Bedfordshire and Northamptonshire, covering Kimbolton, Cambridge, Huntingdon, St Neots, Oundle, Biggleswade, Kettering, Corby, Wellingborough, Thrapston, Bedford, Northampton and the surrounding towns and villages.